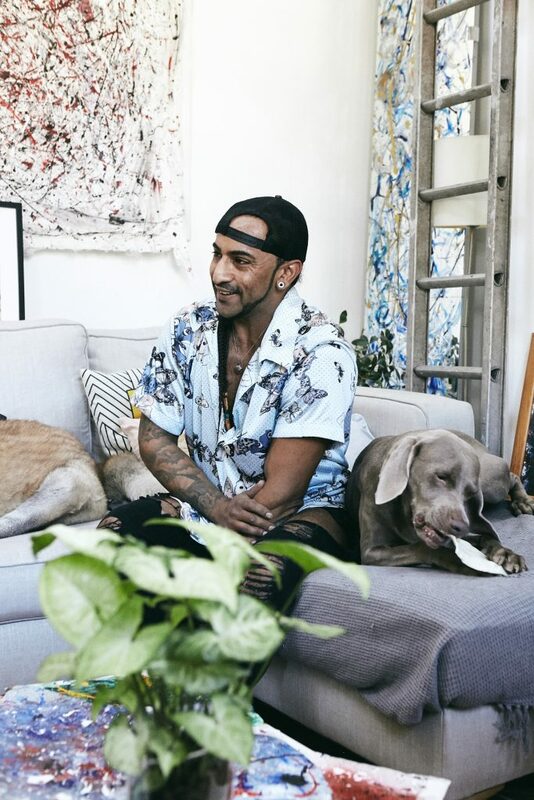 Les Néréides Loves Animals introduces Hamza and his adopted dog, two happy friends that we’ve had the pleasure to interview in their London home. 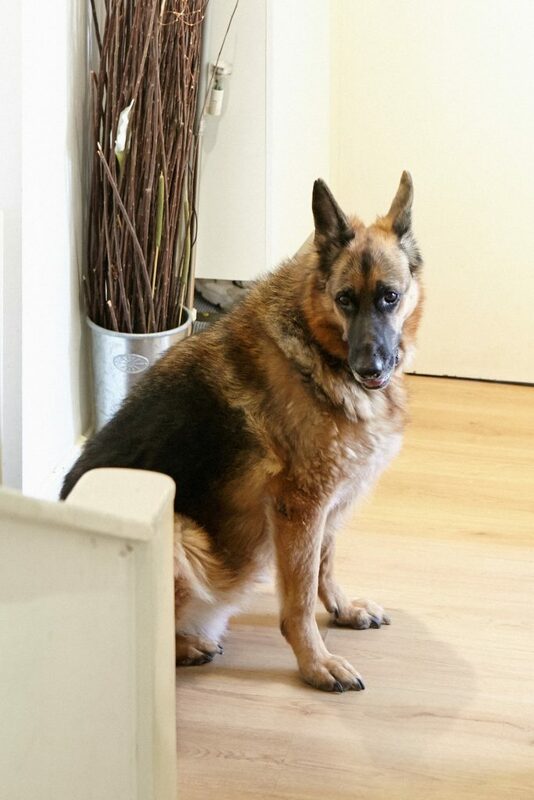 Cody is a very handsome eight-year-old German shepherd. Can you tell us about your first meeting? I first met him approximately seven years ago, in a park close to my home, while I was out walking my other dog Jazmine (Akita). When I first met him he was a very large one-year-old energetic dog whose owner introduced herself to me and we instantly became friends. 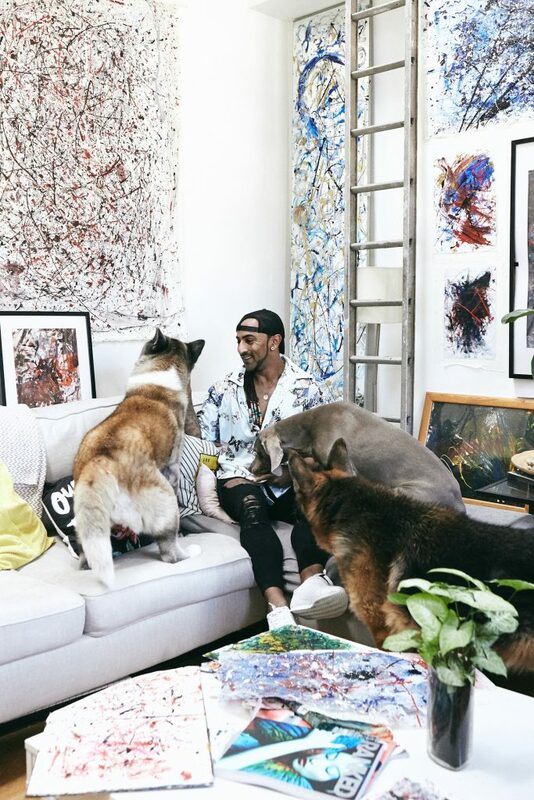 I have to admit I was never really fond of Cody in the beginning because I had a misconception about large dogs, particularly ‘German shepherds’ as they are known as being ‘Police Dogs’, and are often depicted as being aggressive. However, once I got to know him, I soon realised how wrong I was, as he is such a soft and gentle giant. There are many things that I love about Cody and his personality, but I would say his best quality is that he is incredibly loyal and shows his loyalty to me by being by my side at all times. He really does live up to the saying that “a dog is a man’s best friend”. Cody‘s biggest flaw is that he sheds a lot of hair throughout the year. He has a thick dense coat that constantly needs to be groomed by brushing it every other day. Due to the moulting, Cody’s hair is all over the floors in my home, this can be annoying but is something I am now very used to. Does he have a nickname and if so, why? He has a few nicknames, one is ‘Codes’ and the other is ‘buddy’. I don’t really have a real reason for why I call him ‘Codes’, but I call him ‘buddy’ because I consider him as my mate, and I often talk to him like he is one of my closest friends. Having Cody around brings me a lot of joy, he is a very unique character. When I’m sad he knows I’m sad and comes to me to offer cuddles and love. His loyalty means the world to me and helps me to know that I am never truly alone. He helps me to get more fresh air, as he loves to go to the park every day and play fetch. I find this to be very therapeutic, particularly during stressful times. How did you come to adopt him? I came to adopt Cody due to unforeseen circumstances, my friend (Cody’s previous owner) was very sick and did not have very long left to live. I became very concerned as I knew that without her Cody would not be looked well after, and this caused me great concern. My friend’s partner who had been taking care of Cody, asked me to look after him. I agreed to do so all the time, thinking it was a temporary situation and that he would eventually come back for him. When Cody arrived I could see that he was quite skinny and very sad and clearly not been looked after very well in the months when my friend had been in hospital. So I took care of him, gave him a lot of love and noticed his health improved. However, this took some time before he became stronger and more settled. Weeks became months and I never received any news from the partner of my deceased friend in regards to collecting Cody, therefore I decided to adopt Cody as my own. In general Cody is not a naughty dog, however the one thing which I find very disgusting and also very naughty is that whenever we go on walks he has a very bad habit of eating rubbish from the floor. He always tries (and often succeeds) to eat his own poop after he goes to the toilet!